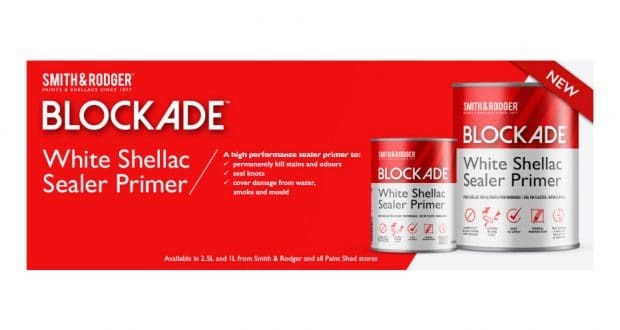 Smith & Rodger launched its latest performance product– a specialist shellac sealer primer, last summer and it’s proved to be a hit with trade customers. Blockade is a multi-surface primer that will easily cover the toughest stains and provide a base that can be overcoated with most paints. Stocked through a number of decorators merchants, the feedback from users has been overwhelmingly positive. Managing Director Ian McAslan said: “We were delighted to unveil our latest formulation to experienced painters and decorators, and have been blown away by the positive response to Blockade. So what have the trade being saying about Blockade? “When decorators are begging their suppliers to stock it you know it’s a winner. We know when a paint is good” – Kevin, TDS Decorating. 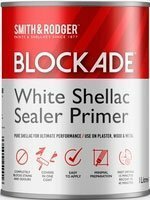 Blockade Shellac Sealer Primer provides excellent adhesion to almost all interior surfaces such as previously coated and new wood, plaster, drywall, porous wallcoverings, metal and tile and requires minimal preparation before use. Available in 1L and 2.5L, Blockade is also quick drying, therefore can save time on jobs that require multiple coats or need to be quickly overcoated with emulsion. Dries in 15 minutes, can be overcoated in 45 minutes. Blockade covers glossy and hard to paint surfaces such as tile, varnish or gloss paints with no sanding needed. The pure shellac base permanently blocks stains and odours, covering even the darkest of colours. Thank you for your enquiry Desmond. 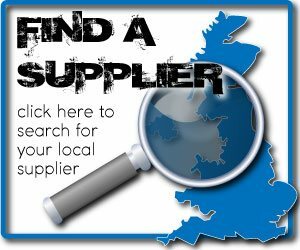 If you could email us at blockade@smithandrodger.co.uk we’ll let you know where your nearest stockist is. Thanks again. What price the large tin please?